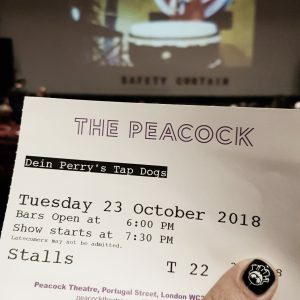 Last night I was invited to attend the opening night of Dein Perry’s Tap Dogs. Not sure what to expect, but intrigued by the glowing reviews, we headed to the Peacock Theatre to check out this fascinating sounding show. 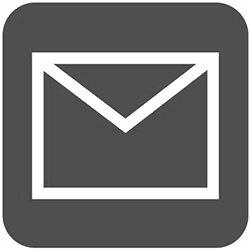 From the first tap, it was obvious that this would be quite unique, and very entertaining! With six dancers and two musicians, Tap Dogs is a wild ride of rhythm, humour, and strength. With sets and characters inspired by Dein Perry’s youth spent in the steelworks town of Newcastle, Australia, construction site vibes prevail to create a rough and raw atmosphere. 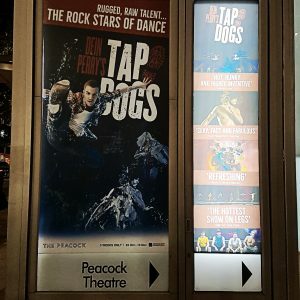 The Tap Dogs fill the stage with energetic joy to create this out of the ordinary dance show that almost feels like a rock concert. I couldn’t help but tap along! Whirling across the stage, each of the six dancers shows a distinct personality with just a handful of words strewn throughout the show. From tapping wellies through ankle-deep water (watch out in the first few rows!) to upside down tapping on the ceiling, Tap Dogs is as surprising as it is funny. 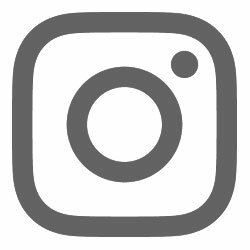 The ever changing set, and use of plenty of props, keeps it fresh and exciting, and whenever you think this is as good as it can be, they top it off with another amazing stunt to raise the bar for themselves yet again! From the remarkable story of their beginnings (read it on their website), to the characters and sets they’ve developed over the years, this is one show you don’t want to miss! Be aware that it’s insanely loud, but don’t let that hold you back, pack your ear protectors of choice and head on down to the theatre for this extraordinary dance experience! Five out of six rainbow sloths from me!